I found this beautiful painting on my friend Douglas’s website Art of Quotation. He always finds and publishes such great art and quotes! Thanks Doug! I think Jackson Pollock was a painter who did something a bit revolutionary. Isn’t coming up with something no one has ever tried a challenge and then being brave enough to put it “out there” for others to see and judge? I sure think so. However, I believe that even if one traces their photograph or someone else’s so that it will be the right proportions (which I do most of the time) and then applies their medium of choice to enhance it, their originality will still shine through. I hope my “signature” comes through anyway! Most artists who enjoy what they do and don’t worry too much about what they do coming out “perfect” are usually happy with their outcomes especially if the end result blesses someone else. After all when someone is happy with a gift that is unexpected, what more joy could a person ask for? 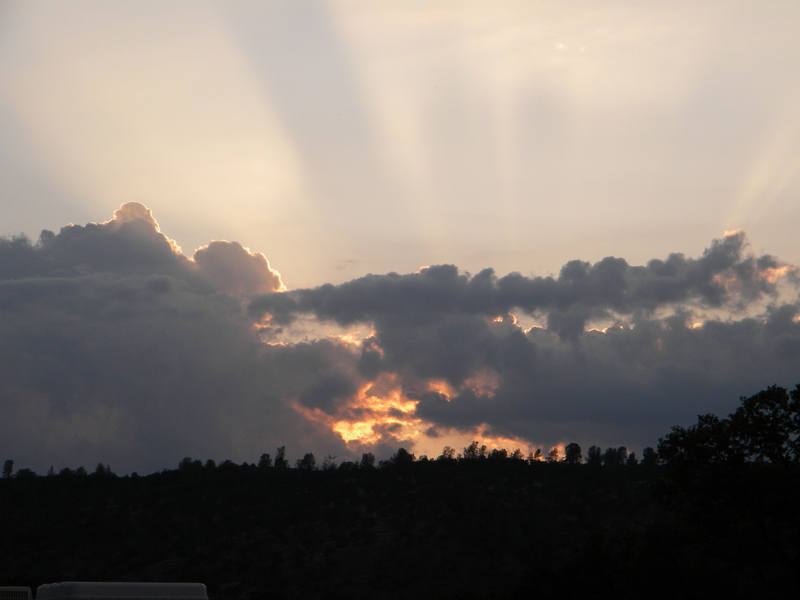 I think I have come to the place in my artistic endeavors where I just want God to bless others through what He has given me the desire and ability to do. It is sad though that many artists, writers, etc. may end up doing what they love and giving it away instead of getting to a place where it can become an income someday, but really, I think life is all about being a blessing and loving who you can love while you’re here. Sure there is the “earning a living doing what you love” thing, but I think that is becoming more and more possible these days. Here is hoping the spirit of giving is in your heart every day as well as on Christmas day. I dont care what anyone says! This drawing of a woman I saw at Barnes and Noble last year is SCARY!!!! So….. I ‘figure’ that learning how to do figure drawing will help me in drawing people in my picture books even though the ones I have in mind for now are for sea turtles. I finished my picture book class online and was searching the Craftsy website for more classes when I found a FREE one by Patricia Watwood called “Figure Drawing-An Essential Guide. I did the first one this morning and am anxious to get going on the rest! 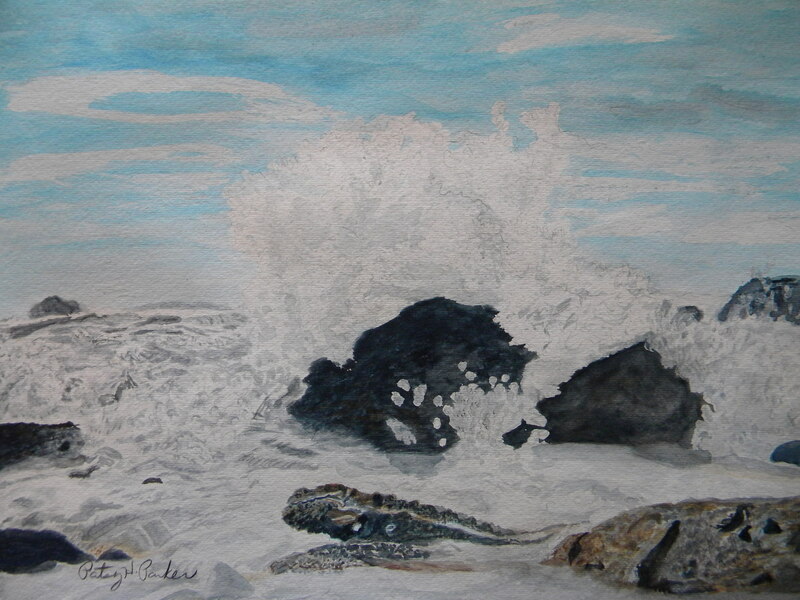 Now I’m going back to working on my picture book, Larry, the Leatherback Sea Turtle! Make it a wonderful day everyone! Are you able to adapt to different environments? Are you flexible? Give an example. I think so. For instance, once I was hired to be a sales clerk for an import store that hadn’t opened yet. I had never really built anything using wood, hammer and nails at that point in my life. But before the store could open, the salespeople were expected to build all of the shelving for the items we would be selling such as glassware, baskets, etc. I wasn’t sure if I would do that part of the job well or not, but the guy hired me, showed me what he wanted, and how to do it, and I did it just fine. It turned out to be a lot of fun, and I was sad when that part of the job ended! Are you fast, or do you like to take your time? Why? Do you have confidence in your own ideas? If it is a drawing or a painting that I am working on alone, then yes. If it something for an art class, then yes. But I get frustrated with teachers I have had who say “be creative” on one hand, but are really saying, “do it MY way” on the other hand. That frustrates me greatly. And I am not talking about learning art techniques correctly. I am just talking about when a teacher isn’t really being clear on how she wants a project done or maybe I get the feeling she doesn’t like MY work, but is not saying so and just wants me to do it her way. I hope that is clear. Can you think on your feet? Or do you get rattled when things don’t go as planned? Explain. I have to say I have only thrown out a few paintings that were just not turning out the way I wanted them to and frustrated me so much I destroyed them. But in the past few years, if a part of a painting isn’t coming out exactly like what I had envisioned in my head, then I can usually compromise with myself and go with the flow. I try not to let myself get too rattled. Are you good at communicating with others? Give an example. I believe I communicate well. I think when I run into trouble communicating an idea, it is because I am just not able to explain clearly enough to someone else what I am seeing in my head. Fortunately, my daughter knows me well enough that if we work on something together, I let her run with what she thinks I want, and usually it turns out that she has read my mind. It’s a little freaky, actually. Are you good at solving problems? Other people’s or just your own? How? I think I am efficient at solving my own problems as well as others’. I just stand back and think for awhile before trying to do something different. HOW WOULD ANSWER SOME OF THESE QUESTIONS? 1. Are you able to take an idea and run with it? Yeah, if it is my idea. Well, it is easier if it is my idea. I wouldn’t want to presume what another artist is trying to accomplish. But once I get an idea for a drawing or a painting, I do run with it pretty easily. 2. Are you good at organizing your time? Give an example. I wish! I have never been good at time management since I chose to stop working outside the home. But when I am working on a drawing or painting, I usually work until it is finished. I hardly do anything else. In fact, my family has to come and get me for dinner. It’s a great thing that my husband loves to cook! But I have never been strong in the area of self-scheduling. 3. Are you good at collaborating on a job, or do you prefer to work alone? Why? I think it would depend on the job. I work well with people generally. But I have a hard time dealing with the type of person who can’t listen to suggestions for changes in how something could be done. Now if I was getting paid on a job and someone said, “Do it this way,” I’d do it that way. But for things I’m volunteering for that I see a more proficient way of doing the task, I’m going to speak up and state my opinion. But if someone doesn’t want to change to what I suggest, I don’t have a problem with that. I just don’t want to be talked down to like I am a child. 4. 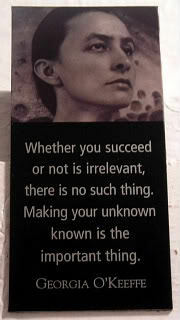 Do you need lots of direction, or are you good at intuiting the next step? Explain. Usually, if I feel unsure of anything, I’ll ask lots of questions. If it is a project of someone else’s, I would be a little hesitant to intuitively go to the next step. Sometimes, though, because of my A.D.D., I do need directions repeated if they are not written down or if I haven’t seen someone do an example. When I worked full-time at a newspaper as an advertising executive, I was allowed to run with my own ideas and ways of doing things, and it was usually fine with my boss. I had a lot of freedom in that job. 5. Are you good at giving direction? Guiding others? Give an example. I am good at giving directions if I know how I want someone to do something for me. I can guide others if I know how I want something to come out. But I am also open to others’ ideas when it comes to whether something in a project can be changed or improved. In “The Successful Artist’s Career Guide – Finding Your Way in the Business of Art, there are many lists of different types of art jobs to choose from. 2. Teach art to children. I would also like to teach art to people with special needs. 3. 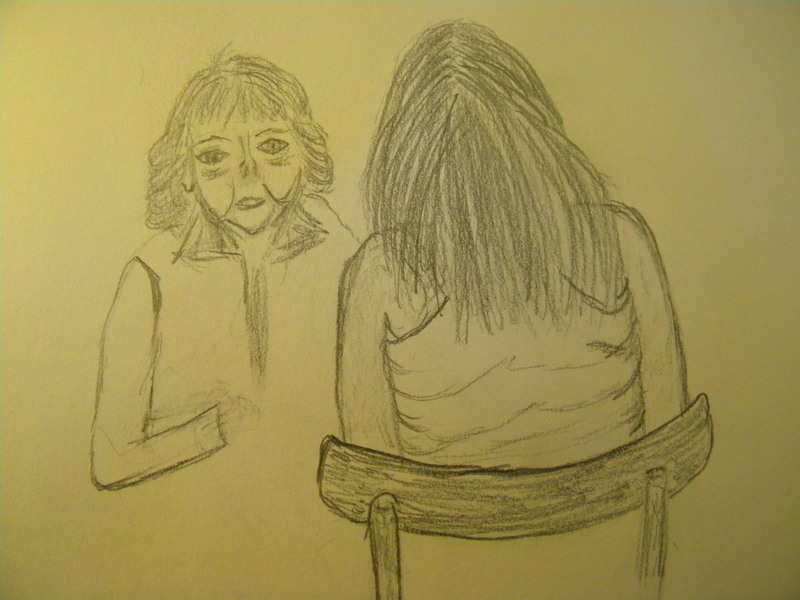 Do art workshops with children, the elderly, or the chronically ill.
4. Write about art or art techniques. 9. Sell my art work at art fairs. Worksheet #4 – What Are You Passionate About? If you won the lottery today, and could afford to do anything, go anywhere, buy all the art supplies you needed, even hire people to help you – what would you do with that freedom? 1. Buy a house by the ocean, maybe in San Diego, by the ocean where the water is warmer. Of course, my art cottage would be in the backyard. 2. Take a long vacation to Australia and meet my blogging friend, Christine. See the sights and enjoy my family who would all be with me. I would also take a trip to the U.K. and see my friends Steven and Sherri; I would take Jill with me! 3. Put my kids through college wherever they wanted to go. 4. Open a public studio in town to sell my work at; hire my daughter to run it in the summers and someone else during the school year. Question #14 – What lifestyle do you think would suit you more: the city life or country life? Why? Question #12 – What was an experience that left you speechless with delight? 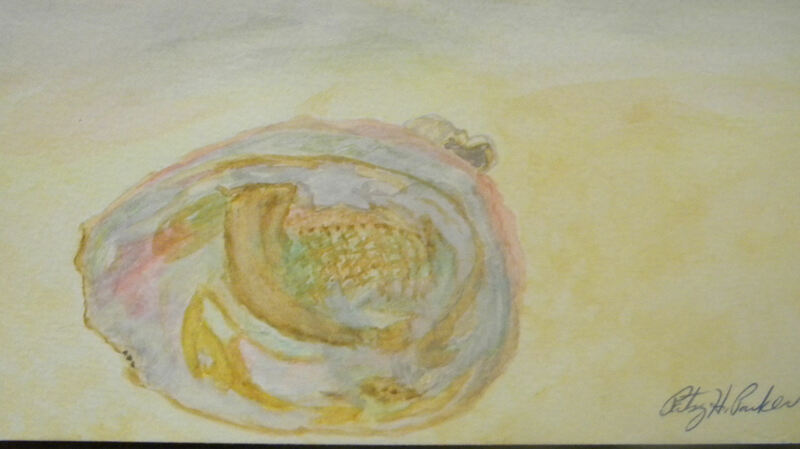 I painted this abalone shell in 2005 in watercolors! Back in the early 80’s I went abalone diving once. I wish I had gone several times after that, but for some reason I didn’t. My husband at that time taught me everything about diving, because he had been doing it for years. We went with his family every Memorial Day and Labor Day weekend to the coast just for abalone diving. I rented a pink wet suit which probably scared the fish! I had to learn how to use a snorkel a few weeks in advance. So on the day we did the diving, I was equipped with my suit, snorkel, mask, gloves, and crowbar to pry the abalone off the rocks. I had been told that would be the hardest part. But I wasn’t worried about holding my breath a long time; I was in excellent shape then and have always been a strong swimmer. The hardest part of the day was getting down to the shore from the cliff we camped on. The hill we went down and then had to climb back up after diving was nicknamed “Cardiac Hill.” It was twisty and very steep, so the name fit! What I hoped for when I went that day was clear water, not cloudy which makes it harder to see. Not only was the water the clearest we had ever seen it, but the weather was perfect that day! I was greatly blessed with the perfect day for diving. I felt really nervous, but I just prayed for strength to be able to find some abalone and be able to pry them off the rocks! The limit for each person was four abalone. Once I was in the water, I took a few deep breaths, put my snorkel and mask on, and plunged down as far as I could go. The DELIGHT came when I saw the fish and sea life swimming all around me and the colorful plants, etc. I LOVED IT!!! Tim showed me where to go and look for them, because he was diving with me. He helped me find my first one, but I pried it off the rock by myself. It was a lot harder than I thought it would be! But I did it!! I had my first abalone which I think we put in some net or something until we went back to the surface.